Dr. Vanderbrook continually researches the latest technological developments in dentistry. He integrates the tools that he finds beneficial to patient comfort and safety, diagnostic accuracy, and patient education. 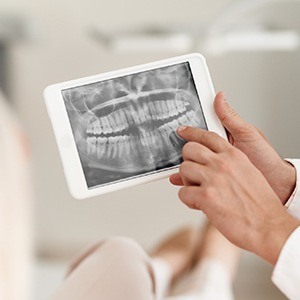 For instance, we use digital X-rays because they provide detailed, immediate images and reduce patient radiation exposure by about 80%. Our intraoral camera takes photos of teeth and gum tissue, and Dr. Vanderbrook can enlarge the images for review with a patient. These digital capabilities allow team to explain our findings and work with a patient to design a practical and effective treatment plan. During your dental appointments, we’ll provide pillows and blankets so that you can make yourself comfortable. You may also want to listen to your favorite music through personal headphones. Nitrous oxide and oral sedation (enteral sedation) are available to make your dental procedures pleasant and rewarding. Patients who have difficulty with feeling comfortable (mentally or physically) at the dentist’s office may benefit from anesthesia and oral sedation. 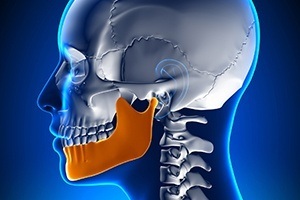 Your temporomandibular joint (also known as the TMJ) is an important part of your overall smile and oral health. It connects the lower jaw to the skull and moves in a smooth, gliding motion so that actions like chewing, speaking, and yawning are possible. Unfortunately, stress, teeth grinding, facial injuries, and other causes can lead to TMJ-related dysfunction over time. Thankfully, our team offers effective therapy techniques that can bring a sense of harmony back to this system. We understand – the dentist’s office probably isn’t your favorite place to be. In fact, dental-related phobia is a big problem among children and adults that can lead to serious anxiety, skipped appointments, and worsening dental problems. In order to make this experience as comfortable as we possibly can, our team offers sedation dentistry. 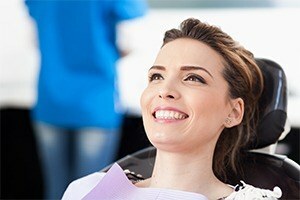 These calming techniques create a much more relaxing atmosphere for your appointment – no fear required. Harmful bacteria are the direct cause of gum disease, and our team will always strive to eradicate them in order to bring back periodontal health. 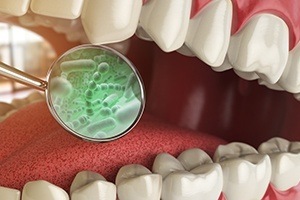 Dr. Vanderbrook is proud to now offer salivary bacterial tests as a more effective method for identifying the type and number of bacteria that are present within the patient’s mouth. This will help our team pinpoint the problem at its source instead of simply grappling with symptoms as they arise. Plus, the test only consists of a gentle oral rinse that takes less than a minute! While numbing is an important part of dental treatment that helps patients stay comfortable, this lingering sensation can be a serious annoyance. Patients may find it difficult to eat and smile without difficulty; accidental biting of the lip and cheek is also common, especially among children. 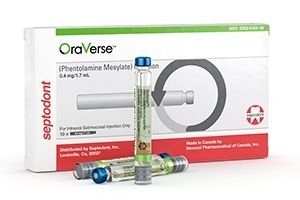 Thankfully, our team has thought ahead with the help of OraVerse Oral Anesthetic. This injection will speed up the recovery process from local anesthesia and help your smile get back to 100% in record time. 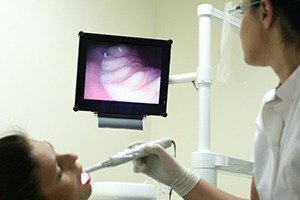 Intraoral cameras are handy tools that can help patients better understand the current state of their oral health, and they also elevate our diagnostic processes to boot. The process is simple – a camera-tipped wand will be inserted into the mouth as you sit back and relax. The images it captures will be transferred to our computer system and then to a monitor in the operatory. Your smile will be on the big screen, and Dr. Vanderbrook can refer to it when needed through your appointment for added clarity. 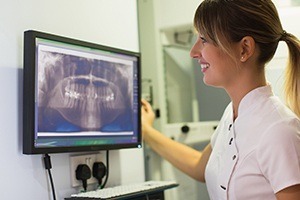 X-ray technology is a vital part of quality dental care – after all, there’s a lot of important information about your smile that can’t be gleaned from just the surface. Here in Dallas, our practice has invested in digital radiography for a safer, faster, and more comprehensive diagnostic experience. There are no more darkrooms or hazardous chemicals to worry about. Instead, the highly detailed images are captured and made available for viewing within seconds. Our team can even magnify them, rotate them, and color-code them for added patient education.